Today is my father’s 82nd birthday. I am the only daughter and the oldest of his five children. My parents have been married now 55 years. 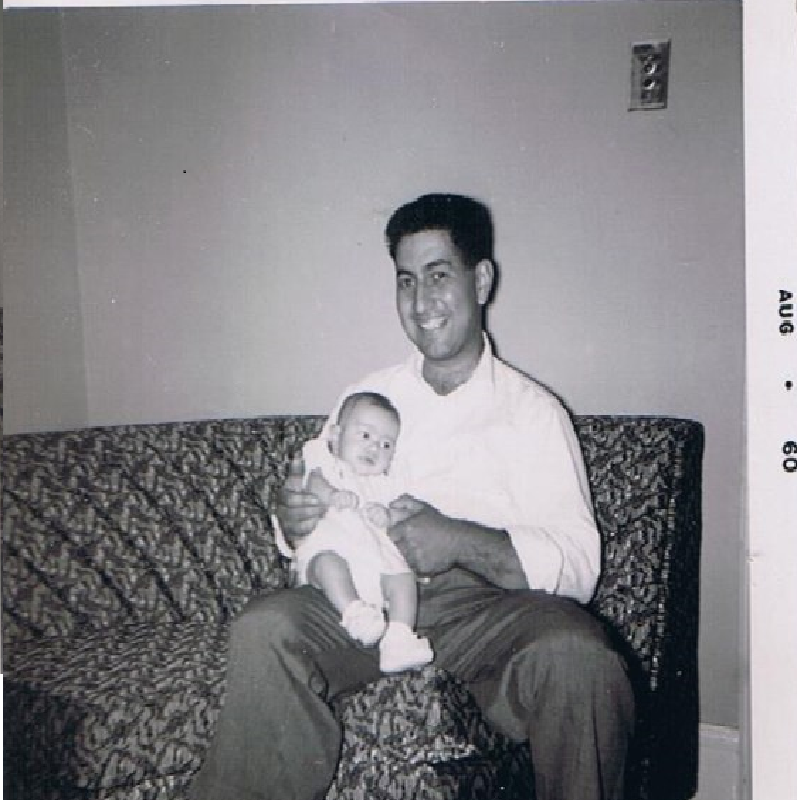 That’s me as a three month old with my Dad. When I was born he had hepatitis and couldn’t hold me for several months. This might have been one of the first times he got to hold me. I wasn’t especially close to my Dad while I was growing up because he was self-employed and he worked a lot of hours. He owned and operated his own plumbing, heating and air conditioning company. The company employed a steady stream of plumbing and heating professionals and at one point Dad was the President of the Plumbing and Heating Contractors Association of Western New York. All this led to his being out of the home for long hours of every day including Saturday’s. My parents had little money when they first got married and the family recounts stories of the pink truck they owned which only had one door that opened, the passenger’s door. Somewhere around my freshman year in high school I began to realize how expensive it was to have five children and to be responsible for bringing in the money to take care of us all. My Dad sent me and two of my brothers to private school, which even back in 1970 cost a pretty penny. I began working at the age of 15 so that I could be less of a financial burden to the family. I wasn’t asked to do this, but I figured I could make some money and buy my own clothes and spend it on buying those things that I needed instead of asking my Dad to work harder to get it for me. I do not ever remember wanting for anything while growing up. There was always food on the table, heat on in the winter and clothes on our backs. My parents did without a lot of things, like when they drove around in a car with holes in the floor board because they couldn’t afford to buy a new car, or when my Dad worked on Sundays when a client had a need. My Dad wasn’t an especially demonstrative person toward me or my mother. He never held my mother’s hand when they walked anywhere, and they never had any open displays of affection. He was very much a conservative, Catholic Italian man. Because my Dad owned his own business, he would employ family members who found themselves unemployed for whatever reason. He often had uncles, cousins, nephews and sons working for him when they needed to make ends meet. My Dad is thought of highly in my family. All of us children were taught to get up early to go to work. If Dad had to get up we all had to get up, even if it was 6:00 a.m. If there was no school, my brothers would head off to work with my Dad where they would learn to dig trenches or fix toilets. They worked alongside somewhat salty men who all worked hard, but my dad taught my brothers how to work harder. They are all stronger for it today. I know my dad is responsible for the incredibly strong work ethic I and my brothers have. We watched him work hard to provide us with a middle-class life style in a nice middle class neighborhood. At one time or another, Dad’s plumbing business employed every one of his children, including me. 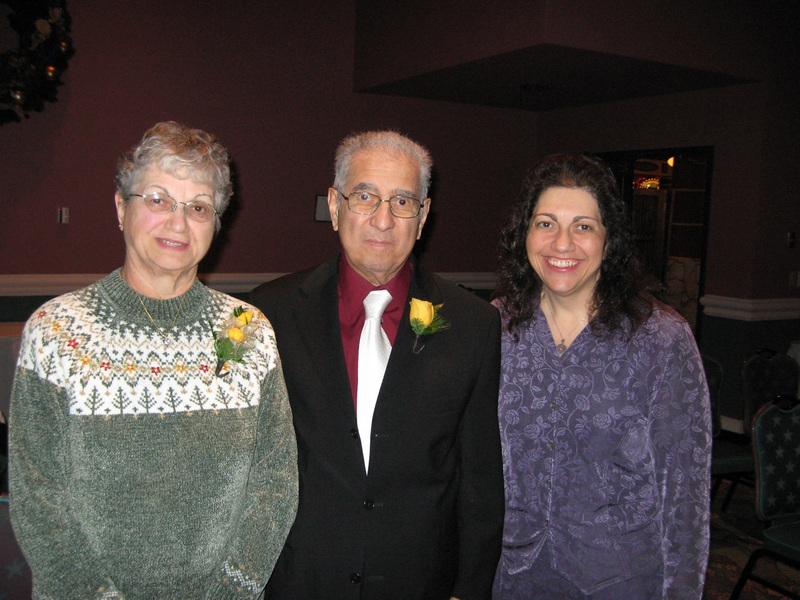 Me with my parents on December 23, 2007, the day I married Mike. My Dad was my witness for the ceremony. Over twenty years ago Dad got hurt while on the job and it ended his working life. My two older brothers jumped in to keep the business going to help Mom pay the bills and they did an admirable job. When it became clear that Dad could no longer work the way he had for all those years, he moved with my Mom to California. My brothers kept the business going for a short time. They had dreams of their own and places they wanted to go, so eventually the business was closed. Because the economy is so bad I see more and more bogus news stories on how to make tons of money a month blogging or how to become a fabulous money making travel blogger and travel the world for free all while blogging. As with most industries if one began their travel blog when the blog thing was new (like 1983 or so) you most likely had a shot at making a living blogging. If you figured out how to get sponsors, affiliate links and how to use blog aggregators properly you could have learned how to make money blogging because you would have more than 25,000 views on every story you posted and perhaps one or some of those 25,000 people would click on one of the ads on your blog site and you made a little extra money. In order to make any serious money and to control your income you have to own your blog name, address and the servers they reside on. You cannot have a free blog service. If you have a free blog (such as on wordpress.com) you cannot do google analytics or ad sense and without this you can pretty much kiss making any serious money goodbye. In the old days companies raced to hire bloggers and to pay them to acquire their followers. What all these companies soon realized was that they did not have to pay anyone to place an ad on these blogs; they just had to allow them to have an affiliate link. All those side bar links that so many blogs have are available to anyone, even you. On our official website we had an affiliate link (now gone) for SendMyBag. You clicked on it and if someone purchased or booked their service we made a small commission (but only if they actually made a purchase). Some blogs will actually disclose this information to you before you click on the link. We had many of the visitors from our website click on the link to learn more. What they soon realized was that they too could sign up and become an affiliate so we made nothing. What SendMyBag got was a free website to advertise on. Good deal for them. When I realized I was being used, and gaining nothing, I removed their link. You can only put affiliate links on a paid blog subscription or on an official website, both of which will cost you money to set up, own and to keep, year, after year. The old saying, you can’t make money without spending money still applies. Your conundrum is to figure out if spending this money is worth it in the end. Before anyone runs off to set up a money making blog I suggest you add up the costs first and then realize that writing a blog is a serious amount of work and takes dedication. You should also expect to spend up to 12 hours a day advertising your blog and making your audience grow and in finding the best aggregators to place your blog on. Oh, and take an SEO course, you are going to need it. How much work is a blog? I followed one blogger who sat in a different coffee house and chatted with people and then he wrote about that encounter. He was posting daily at the time. He was expected to travel for a year (he had sponsors) and to visit a new coffee house in a different city all over the United States writing about these encounters. Sounds like fun, right? He didn’t even make it through the first five months when his health began to deteriorate and his doctor told him to cut back or else. Traveling non-stop, meeting with people in a new place, then spending hours writing and posting, no wonder he was sick. He even set up a pod-cast with another blogger during this time which also takes hours to write for and to record. This is the side of making money while blogging that people do not talk about; that blogging to make a serious amount of money is also a serious amount of work. This blogger is no longer blogging daily; he’s down to once a week. Because he was no longer able to travel he also changed what he blogged about and it was no longer compelling reading. I stopped following. I guess what I want to say here is that if you think you are going to make a ton of money blogging you had better have something to say first. If your blog is just a series of affiliate links you won’t have many viewers. As for all those affiliate links I see everywhere; no thanks. I won’t be clicking on any of them anytime soon. I am tired of social media being used to make me an advertising target. Mike and I have adblocker software on every internet browser we use. 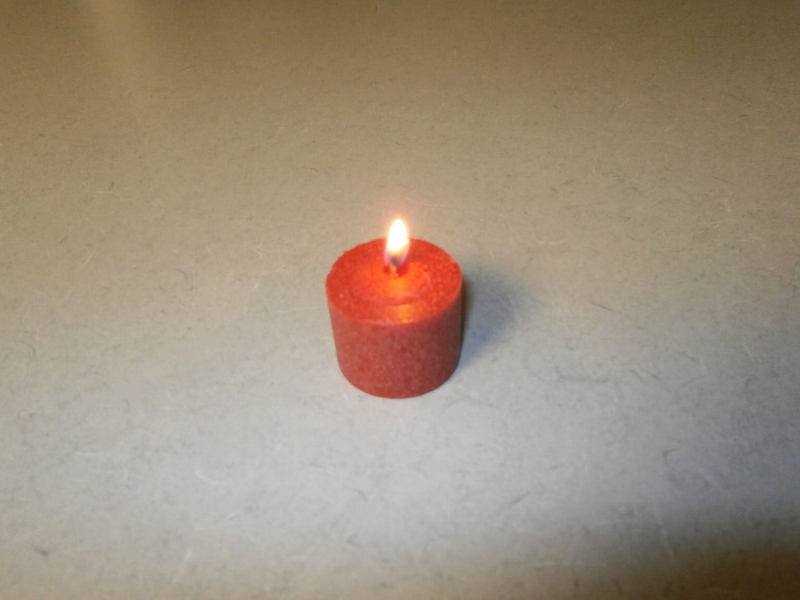 I started this blog on October 24, 2013. Almost exactly one year ago. I have now posted over 100 stories which in some ways surprises even me. I didn’t know I had so much that I wanted to say. I did learn quickly however that blogs are not one size fits all and I began two other blogs; The Expat Cafe and Lean, Mean and Vegan, mostly because I felt that I had different audiences I wanted to speak too and I wanted an avenue to do just that. I only post two blog entries a week on each blog and while that might seem like a lot to some of you I follow blogs that post not only once a day but several times in that day. Wow! Where do they find the time to be creative or in staying motivated? While I do have a list of story ideas on my calendar that take me well into 2015 on this blog, and I’m adding new story ideas all the time, I do not contemplate ending this blog anytime soon. When I was younger it was all the rage to have a diary. In fact, I was given a diary on my eleventh birthday and I remember being pretty excited about having a place to keep my personal thoughts, ideas and dreams. I had no illusions that I would be able to write anything as compelling as Anne Frank did or even pen the outline for the great American novel in my diary. However, I did think I was destined to be a journalist when I grew up. Perhaps it was my youth, perhaps it was my naivete, perhaps it was just not the right time for me, but when I did try to write in that diary I realized I had nothing to say. I was advised by the giver of the diary to write about my day, my dreams, my problems, even my life. I would have, except it was all downright boring. I realized that I did not want to spend my time writing about the chores I completed, the books I read, the homework I needed to do, or the fights with family or friends I had that day. Writing it all down seemed like a colossal waste of time. I then decided that the diary would be for super special events in my life and I put it away in a drawer. Fast forward to 2004 and the advent of Facebook, the whole world’s diary – a place where people share the chores they accomplished that day, the fights they had with family and friends, the books they read and what score they received on the latest on-line game. My yearning to share and write went beyond Facebook and I needed an outlet to share my thoughts, and so my blogs were born. In the beginning I decided that I had something to say and I wanted an outlet to say it and so I became the journalist I wanted to be. Although I am not paid by some famous newspaper to share my thoughts, I do write about those things that mean something to me; I write about the people I meet when I travel internationally or even just when tootling around town. I write about what it feels like to be part of the human race. Mostly I write about things that mean the most to me in no particular order and in no particular rank of importance. Everyone needs a creative outlet I suppose. I just wish so much of what gets shared on some of these outlets was really worthy of my time. I am pretty selective in what I read and even more so on what I respond to, which is why I dumped Facebook, Twitter, Tumblr and Flickr. I just figured that reading someone’s private diary is not what I should be spending my time on. I wish there were a way – gently – to tell people that they do not need to share their private diary entries with the whole world. There is a reason a diary came with a lock and a key; some things should just remain private. I do not know what happened to that first diary I received all those years ago. I do know I never filled its pages with my hopes, my dreams, or the places I hoped to travel to. My blogs are now my creative writing outlet and I try to remember that blog posts are not a dumping ground for what should be a diary entry. Besides, I’m sure they have a Facebook app for that. Before Mike and I lived in any new city, on any continent, we researched the area as best we could on the internet. We tried to find other expats who lived in the area so that we could ask them pointed questions about life in that city. We located grocery stores, bakeries, fresh markets, the local library, banks, and transit centers on a city map. If possible we also tried to locate information on crime statistics in a certain city. Because we were heading back to Olympia, Washington, and we had only been away for seven years, we figured we knew enough about the area. Thus, we did no prior research. Before arriving we had planned to find something to rent in or near the downtown Olympia core. Somehow, somewhere and without many people noticing, downtown Oly became a not-so-nice place to live. They even managed to turn my much-loved and often-visited Olympia Farmers Market into a tourist hot spot where the prices are now so outrageous that it is no longer a must-visit experience for many locals as it once was. A walk through Sylvester Park in central downtown on a beautiful warm day had us walking through a maze of people, young and old, strewn all over the lawn, smoking and drinking. Many of the cities homeless now congregate on the lawns and under the trees. It was no longer a nice place to sit and enjoy a good conversation or a cup of coffee. When a city loses a place for families to play with their children, they have a problem. Also, while walking around the city center Mike and I were shocked over the increased number of tattoo parlors we found spread throughout the city. When a city has more tattoo parlors than bookstores, they have a problem. To better understand what happened here, I walked into several downtown businesses and chatted with the owners. I learned that over 80% of the downtown housing was now section 8 low income housing. Eighty percent is a major saturation. No one had been paying any attention to the housing infrastructure during the past seven years, and low income housing became the standard. When people run out of Section 8 assistance, they become homeless. Homeless people tend to remain where they are familiar and comfortable, and that equated to the downtown park. We also noticed that there were no grocery stores to buy everyday staples in the city center. We wondered, where are people supposed to shop? We were told that they had to head out of the area to nearby Lacey or Tumwater to buy groceries or they had to pay the incredibly high end prices at the only grocery store in the area which is nearby but not located central to downtown. Many of the businesses we had frequented and shopped in were no longer around. Many of the buildings are vacant and waiting for someone to come along and fill them. We learned that much of the turnaround was due to the type of people who fill the streets at night in Olympia because of the homeless situation and people no longer felt safe walking the streets at night. If people with money no longer want to dine at, shop in or even walk through your city center, how can one expect the restaurants and the businesses to thrive? Is it too late for there to be a turnaround? Can something be done to lesson the number of section 8 housing options and to equal out the type of people they want to draw to downtown? In a special three part report in The Olympian entitled Taking Back Downtown Olympia, several people are reportedly trying to do just that. Will they succeed? I hope so. Olympia is after all the state capitol of Washington, and it should be a bustling, vibrant, fun and safe place to live. I hope they can make it happen. Until they do we will be living further north in Bellingham, Washington, where the statistics and our research indicate Bellingham is one of the best cities in not only Washington to live in but also in the United States. We therefore have learned our lesson. Just because we are American and just because we think we know our own country better does not mean we shouldn’t be doing our research on a city or a location with as much depth and clarity as when we researched for a safe place to live on four other continents. The mindset really does need to be; once an expat, always an expat.